Today's Patent Trial and Appeal Board decision comes after the Electronic Frontier Foundation in 2013 petitioned for a review of Personal Audio's U.S. Patent No. 8,112,504 for a "System for disseminating media content representing episodes in a serialized sequence," which basically describes technology for generalized subscriber-based digital audio distribution. Using its '504 patent, the non-practicing entity attempted to garnish licensing fees from big name podcasters, including CBS, NBC, Fox and comedian Adam Carolla. Personal Audio took Carolla to court, but ended up settling after being faced with the threat of a protracted legal battle with little upside. "We're grateful for all the support of our challenge to this patent. Today is a big victory for the podcasting community" said EFF attorney Daniel Nazer. "We're glad the Patent Office recognized what we all knew: 'podcasting' had been around for many years and this company does not own it." Personal Audio successfully leveraged against Apple two similar patents covering media distribution against Apple in 2009, ultimately winning $8 million in damages. That suit targeted Apple's implementation of iPod playlists, however, and did not involve podcasting technology. Podcasting, which takes its name from Apple's iPod, first gained popularity in the early 2000s as digital audio hardware proliferated. The medium has since spawned a small cottage industry, enabling successful podcasters to generate money to offset overhead and turn a profit through in show advertising or sponsorship. 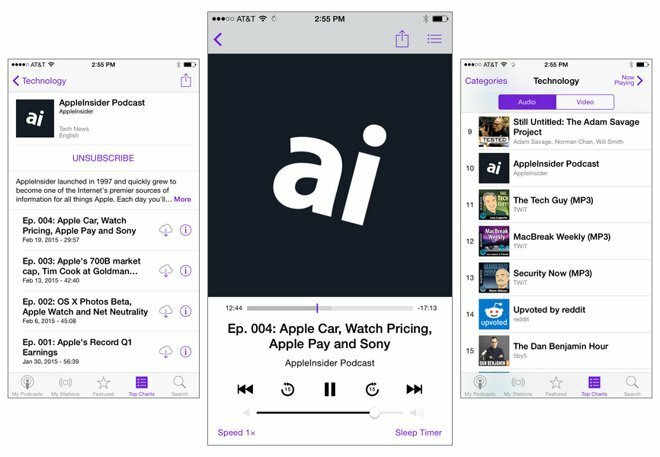 Apple released its own standalone Podcasts app with iOS 8 and preinstalls the software on all new devices. The move, along with popular podcasts like "Serial," spurred a resurgence in podcast listening over the past year.